Gigabyte B250-FinTech Review – Is it Worth It? Would you ever wanted to assemble a monster-size 12-GPU mining rig? Apparently, Gigabyte thinks you would since it just released a motherboard that can handle that huge amount of cards. Meet the Gigabyte B250-FinTech, a motherboard that features 12 PCI-e slots. According to the official site, the mobo is meant to be employed in mining, which makes me think that it has less gaming-related features than most of the motherboards we have reviewed so far. Say, why would you want audio noise guard in a mining motherboard? 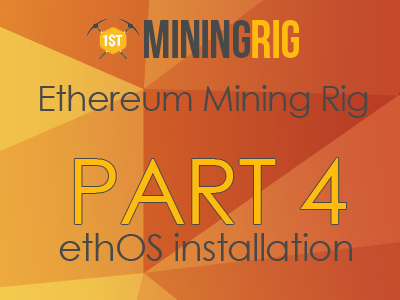 Mining mode BIOS option: upon activation, it delegates video output to the integrated graphics on the CPU, as well as sets the protocol for the PCI-e slots to 1.0. 3-in-1 PSU Power-On Adapter. Use it to boot up from up to three PSUs at the same time. You are going to need it in case you are using multiple GPUs. Front Panel Switch Card. Gigabyte knows that you are not going to use a standard PC case, which is why they’ve included a small board with power and reset buttons. That’s pretty handy, considering that a third-party one might cost you up to $ 10 USD + shipping. You know I am not a huge fan of mining rigs that have more than 8 GPUs – it gets hard to deal with the compatibility issues that naturally arise. Tuning two 6-GPU rigs is way easier than one 12-GPU one. Plus, if something goes wrong and you have to turn the rig down for inspection, you won’t have all of the 12 GPUs idle, being the case you have two 6-GPU rigs, of course. Cable clustering and frame issues are two more aspects to consider when assembling such a huge rig – usually it’s way easier and cheaper to get two small frames rather than order a huge custom one. The main pro of this card is the price per PCIe slot ratio. You can get one of those for as low as $ 175 USD on Amazon. This is really cheap considering today’s market situation. Just to give you some references, the MSI Z370 SLI Plus, which is the cheapest of the Z270 series, costs $ 150 USD and comes with only 6 PCIe slots. Best price per PCI-e slot compared to alternatives. Comes with accessories worth 10-15 dollars. Would I recommend this board? Yes. In fact, I believe the B250 FinTech is one of the best options for those of you who are into huge mining rigs. I might even consider getting one for an 8-GPU mining rig I am assembling right now – the board is really cheap and it includes some accessories and features gaming boards don’t.